“Every day, more photos are taken with the iPhone than any other camera,” an Apple ad for its handset proclaimed in April. In a new ad from rival phone maker Nokia, the Finnish company doesn’t dispute this factoid but instead suggests that in most cases, photos from an iPhone are, to put it mildly, a bit crap. Nokia’s new ad (below) looks like the Apple ad. It even sounds like the Apple ad. But it’s definitely not an Apple ad. Because it’s an ad for the Nokia 925, which comes with an 8.7-megapixel camera and an f/2.0 Carl Zeiss lens. And so begins a series of image comparisons showing – as you might expect with a Nokia ad – that in every setting and for every type of shot, the Lumia 925 beats the iPhone hands down. 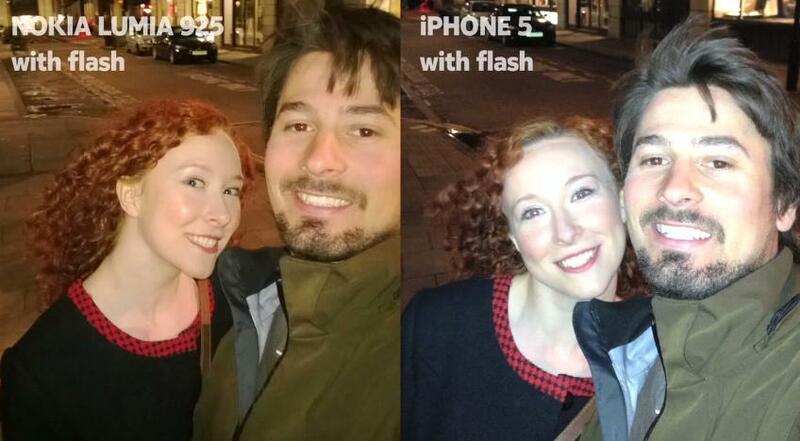 From low light snaps to shots with flash to capturing decent colors, the iPhone, with its 8 megapixels and f/2.4 lens, just doesn’t cut it when compared to images from the Lumia device. And then comes the closing line: “Every day, better photos are taken with Nokia Lumias than with any other mobile.” In case anyone is in any doubt about the ad’s point, the narrator sees fit to emphasize the word “better”. Nokia has, in its time, launched a few ads bashing the iPhone. An early one, released last year, took a swipe at Apple for the iPhone’s lack of color options, while more recent ones have been banging on about the Lumia’s low-light capabilities with both video and still images, an area in which the Finnish mobile maker clearly feels it excels. Of course, with Apple selling around four times more iPhones than Nokia sold Lumia devices in the most recent quarter, the Cupertino company is likely to be flattered by the attention more than anything else. What will be interesting, however, is what improvements Apple brings to its camera with the next iteration of its handset, which could launch this fall.